Home and office improvements most often require the use of a general contractor. Trying to find a reliable contractor can be overwhelming, especially if you’re delving into construction contracting for the first time. Knowing what questions to ask prior to choosing the right general contractor for your project will help in avoiding the pitfalls. Reputable general contractors are licensed, but often use day labor to help them in completing a project. Staff used for projects may have little to no experience, and certainly aren’t licensed themselves. Before hiring a general contractor, be sure to request a copy of their license and ask who will be overseeing the work. Ask for project staff resumes if available, or at least the number of years of experience of those that will be assisting on the project. It is not uncommon when planning a project to build in a contingency plan in case something goes wrong. If the general contractor you’re considering does not provide information of how he will mitigate problems that occur, you may want to look somewhere else. Issues that can’t be determined, such as asbestos in walls or bad wiring, often crop up. Make sure that your contractor is prepared to deal with these issues and has the experience to mitigate them. The first meeting with a general contractor is a sales call. The contractor wants your business and will promise you the world. If you want the job done to your specifications, ask to see the fine print first. Everything is in the contract. Make sure you ask to see the contractor’s standard contract and read the fine print. What hours will they be working? Will the general contractor be there for the whole project? How are changes to the work plan billed? These are all questions that will make a difference in your satisfaction once the job is complete. General contractors rely on having many irons in the fire to stay afloat. If too many jobs are taken on at one time, it could cause delays in your own project. Try to discern the contractor’s current workload prior to signing a contract. You don’t want to be stuck with a half-finished project until your contractor can make time for you. General contractors are required by all states to carry Commercial General Liability insurance and to be bonded under their licensure. Make sure first that your general contractor is bondable. Accomplish this by reviewing their license. Some contractors may choose to forego the expense of insurance and this could spell catastrophe. Be sure to request a copy of the contractors insurance prior to any work being done on the premises. Be prepared to ask questions. 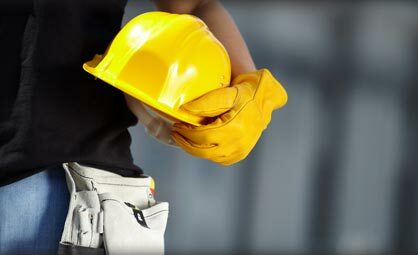 For a safe and reliable General Contractor, contact Leonard Albanese.